I was pretty stoked to find this record. How many bands are named after you? It doesn't hurt that this is hilarious. I think this record is as gayed up as it could possibly be. Also, instead of just pressing a one sided record, the same song is on both sides. Amazing. 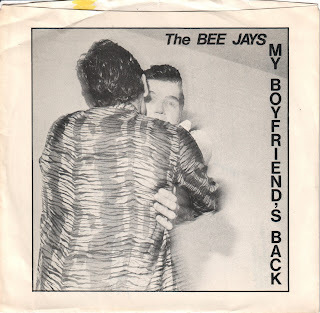 Ladies and gentlemen, for your listening pleasure, The Bee Jays.